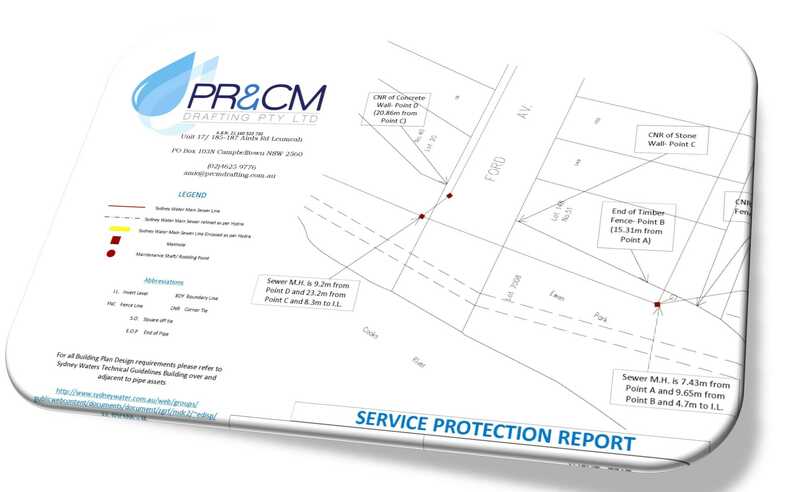 A Service Protection Report identifies and locates all Sydney Water assets affecting your development. These assets include, but are not limited to, sewer, potable water, recycled water, stormwater and easements. The Service Protection Report is required to enable your Structural Engineer to accurately plot Sydney Waters assets onto your engineering plans. Your structural engineer will then design any protective measures that are needed to comply with Sydney Water Technical Guidelines – Building over and adjacent to pipe assets (available on request) where any building work affects a Sydney Water asset. Please fill out the below application form for further information about obtaining a Service Protection Report for your property. Copyright 2018 PR&CM Drafting Pty Ltd. All Rights Reservered.